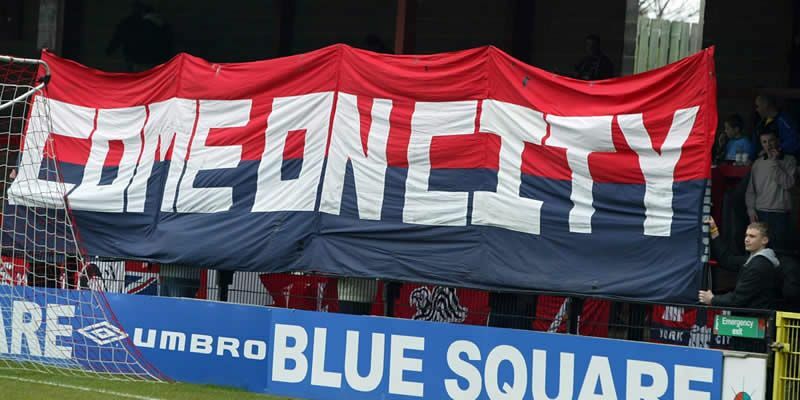 This year could be one of the most important ones in the history of York City FC and more than ever we need your support in making the York City Supporters Trust strong again. All the previous hard work and dedication of the likes of Steve Beck will go to waste unless we reinvigorate the YCST and make it a strong voice for the Supporters and to ensure that the Trust provides a significant fund raising capability to the club but also to provide something that is truly representative of the fans. The Trust accept that over the last few years that things have lapsed. The membership list has dwindled but the life members list is still strong and both coupled together is still a significant amount of people who have been willing to be involved with the Trust previously. To this end we ask that everybody who has been a Trust member and anyone who hasn’t becomes a member whether be an annual or life membership. The newly created website gives you the opportunity to do either option or to simply make a donation. We also request that any local businesses get in touch with us to look at a potential new scheme which would involve discounts for Trust members. Way back when the Trust was formed and the incredible achievement of raising so much money, in such a short space of time, should never be forgotten by York City Supporters. The Trust has to provide the mechanism whereby it can do this and yet again provide a more substantial contribution to the football club’s annual budget. There are issues that need to be resolved and the YCST Board are working towards an AGM which will be announced in the not too distant future.